Kenny Chesney in Montreal or Quebec City? Inform me about the next events for Kenny Chesney. Enroll yourself to our priority waiting list for Kenny Chesney to be alerted when new tickets are available. Filling this form doesn't engage you to any purchase. 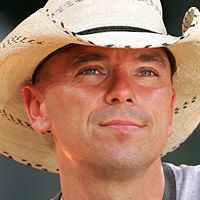 Kenny Chesney, the American country singer will be in Ottawa performing on August 19th of this year. Chesney will be at the Scotia Bank Place during his Sun City Carnival tour. The tour, which includes 50 dates, will take the singer across the United States and Canada throughout the summer. Kenny Chesney was named Best Artist of the Year four times by the Country Music Academy. He will be performing songs from his previous albums as well as songs from his latest release, Lucky Old Sun, including radio hits Everybody Wants to Go to Heaven and Down the Road. Miranda Lambert and Lady Antebellum will also be on hand for this great evening of music.